Welcome to Lakeview Elementary Design Center! 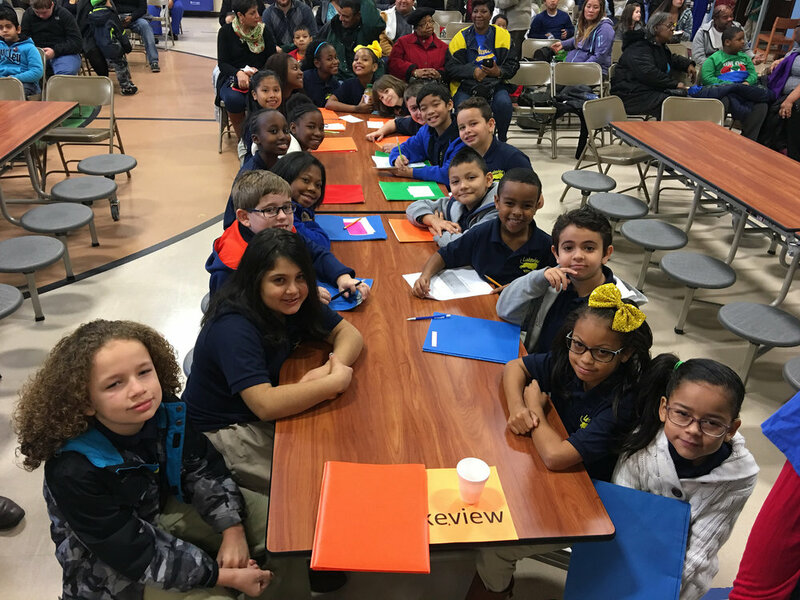 On behalf of the Lakeview family we are dedicated to quality instruction that promotes academic excellence through enriched and rigorous curriculum. As a staff, we are here to support all of you by any means necessary, and to assist children as they learn and develop skills and talents. Lakeview Elementary is a student centered community focused on helping children and families learn, grow, and achieve. I am excited and honored to have been named the new Executive Principal of Lakeview Elementary Design Center. I look forward to working with you, our parents, and members of the community to provide a high-quality education for all children. Our goal is to help children become critical thinkers, active problem solvers, inquisitive readers and proficient writers. We look forward to working with all of you as we pursue excellence together. Lions Today Leaders Tomorrow! Lakeview Elementary Design Center is the home of the Lions, and our teachers work hard to develop our students' PRIDE: Producing Responsible Individuals & Developing Empowerment. We are a design center whose focus is on character education with themes such as responsibility and respect. We proudly serve a diverse population, and we work hard to grow our students both intellectually and emotionally. While we strive to grow strong learners, our goal is to also create young people with good character who will become productive citizens. We offer blended learning opportunities throughout the school, and our Encore program serves our gifted and talented learners. Our faculty, staff, and administration work closely together to help make our entire school more like a community. Our teachers have wonderful support, and we go above and beyond to include our families in our environment, as well as give them many opportunities to be a part of their students’ growth and proficiency. We offer monthly family events such as literacy and numeracy night, Chuck E. Cheese and Skate Nights. We also present full Disney theater productions, which involve many of our 3rd and 4th grade students. These productions have become some of our most popular events during the school year. Pre-K: 8:00 a.m. - 2:00 p.m.
All shirts must have short or long sleeves and a collar (polo, dress-style, peter pan or turtleneck). White or navy blue shirts are acceptable in all Metro schools. Lakeview has opted to allow students to wear ANY solid-color polo-style shirt.